Free fishing is available on this 550m length of typical Middle Severn. It's a Environment Agency controlled fishery and is mainly ‘broken’, pacy water with a decent mix of quality species. These include barbel to 13 lb, chub to 5 lb, roach to 2 lb, an ever-increasing amount of dace to 12 oz, perch and good pike. Barbel and occasional chub show to legered, hair-rigged pellets, boilies, meat or corn; strong tackle is a neccessity. Float fish a heavy stick float or dumpy shaped waggler with maggot or caster over regular loose feed and hemp for roach, dace, chub and possibly the occasional barbel. Pike show to lures and sea deadbaits; winter is the best time for pike. 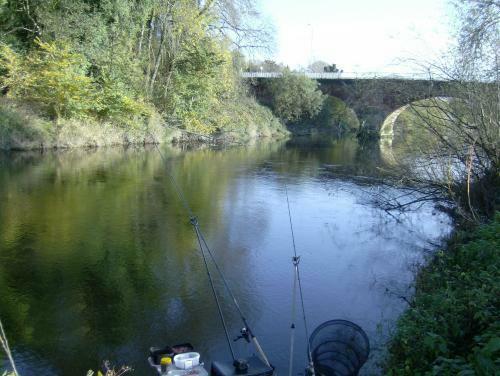 Try to be a bit adventurous when barbel fishing and use ‘different’ baits from the norm. Meatballs often take some good fish. The tackle shop (details below) can point you in the right direction. Ironbridge Tackle and Bait Supplies, Ironbridge, TF8 7AD. Tel: 01952 433040. It’s free fishing. Food outlets and toilets nearby. Rod Licences are compulsory. Enquiries: Environment Agency on 08708 506506. ​Midlands byelaws. Traditional Close Season. From J4 or 5 of the M54 pick up the A442 heading south. Pass the Queensway (A4169) and take the first right towards Madeley. Go over the next roundabout onto Kemberton Road. At the next roundabout (Madeley) take the third exit onto Legges Way. Pass Blists Hill and continue on to Coalport Road. 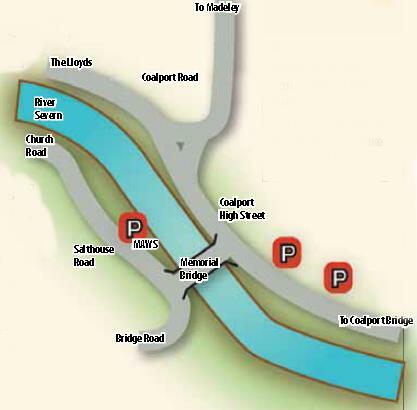 At the bottom turn left onto Coalport High Street. There is parking at Tar Tunnel car park, to the left. The fishing is on the left bank, upstream of the footbridge.